*Early Childhood Education and Child Development. New in this edition: moral development; the development of creativity. *Early Childhood Educational Curriculum. New in this edition: movement or dance education; the education of linguistically and culturally diverse children. *Foundations of Early Childhood Educational Policy. New in this edition: childhood poverty; the education of bilingual children. *Research and Evaluation Strategies for Early Childhood Education. New in this edition: doing historical research in early childhood education; postmodern and feminist orientations. 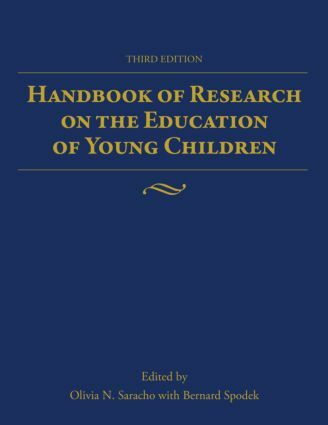 The Handbook of Research on the Education of Young Children, Second Edition makes the expanding knowledge base related to early childhood education readily available and accessible. It is a valuable tool for all who work and study in the field. ByRobert Rueda and David B. Yaden, Jr. Early Childhood Teachers’ Beliefs and Attitudes About Inclusion: What Does the Research Tell Us?